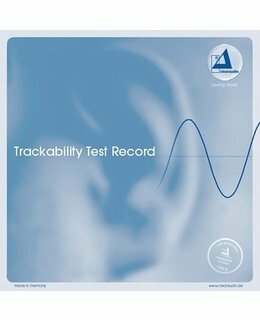 This testrecord is a perfect tool to determinate the real tracking abilities of your tonearm-cartridge combination. The amplitude of an 315 Hz signal is increased in steps from 50u to 100u. The higher the distortion-free reproduced value the better is your tonearm-cartridge combination adjusted.